Jason D. Sammis is a shareholder with the Sammis Law Firm in Tampa, Florida. Focusing on criminal defense allows Jason the opportunity to concentrate on the most recent changes in the criminal and DUI defense. He represents clients charged with DUI, and other serious driving offenses, as well as drug offenses such as cultivation of marijuana and drug trafficking offenses. Jason is admitted to the state bars of Florida and Georgia, the United States District Courts for the Northern and Middle District of Georgia, the United States District Courts for the Northern, Middle and Southern Districts of Florida, and the United States Circuit Court of Appeals for the Fifth Circuit and Eleventh Circuit. After receiving his Bachelor of Arts degree at University of Virginia in Charlottesville, Jason obtained his Juris Doctorate degree at the University of Florida College of Law in Gainesville, Florida, in 1999. 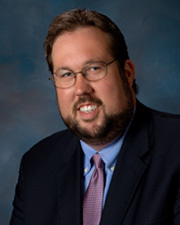 While at the University of Florida College of Law, Jason D. Sammis was a member of the prestigious Florida Law Review. Jason was also elected the Vice-Chair and then Chair of the Justice Campbell Thornal Moot Court Board. Jason is a member of the Hillsborough County Bar Association, the Florida Association of Criminal Defense Lawyers (FACDL), the National Association of Criminal Defense Lawyers (FACDL), and the NORML Legal Committee.